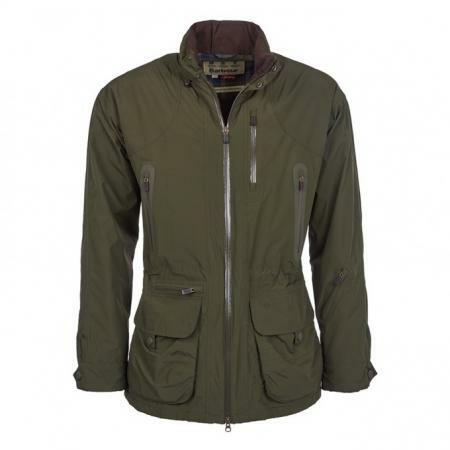 The Barbour Swainby is an update on best-selling Featherweight jacket with the addition of an insulating fleece lining. The Swainby is cut for a relaxed fit with an adjustable waist to accommodate layering, and its two-way front zip can be unzipped slightly from the bottom for additional freedom of movement. Adjustable cuffs, anti-slippage shoulder patches and two bellows pockets with retainer straps add field-ready functionalitySALE! Barbour Thornproof Dressing, is the product for re-proofing Barbour wax cotton jackets. Armed with nothing more than a tin of Barbour thornproof dressing, heaps of patience and a hair dryer, you can re-proof your Barbour jacket. Alternatively you could send it to us and we'll have Barbour do it for you! 200ml tin.